Upgrade your Hobie with a set of ST Turbo fins and you can increase your speed by up to 10% and achieve a slower cadence (Less pedals per mile). The ST Fins fit any Hobie Mirage Drive kayak, though V2 fins are made for models from 2008 onwards. The Fin Kits come complete with 2 fins, 2 masts and fittings. The Turbo fins are longer and have greater surface area than standard ST Fins. Providing more thrust! You can get greater top end speed and a slower cadence for cruising (less pedals per mile). All achieved with the larger, more efficient MD180 ST Turbo fins. This kit is for the Mirage Drive 180 only and V2 kits and V1 to V2 upgrade kits are available. 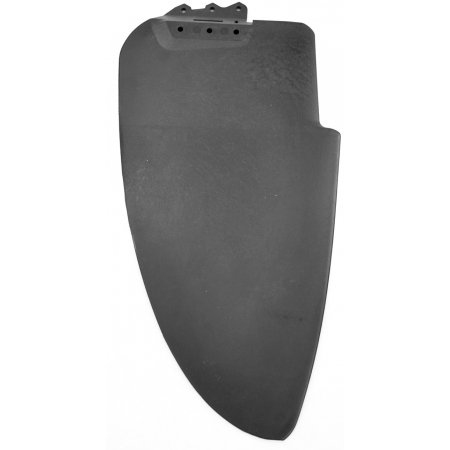 This is a replacement rudder blade for Hobie Twist 'N' Stow rudders. 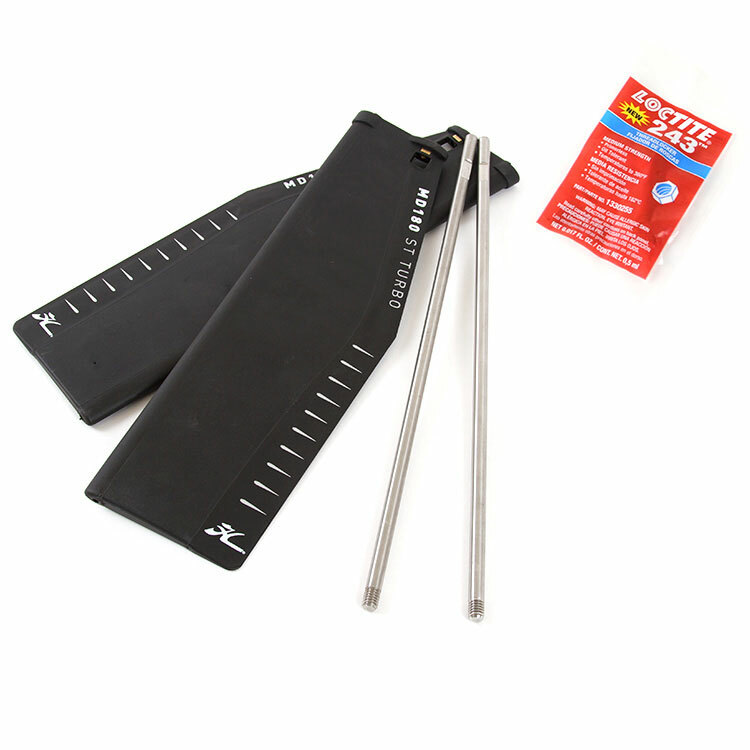 The large blade provides more responsive control, ideal for use with a Hobie with a sail kit. Enjoy added power without complications. 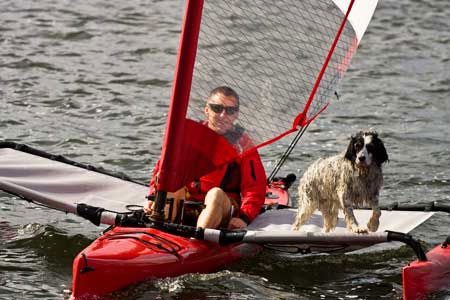 The sail kit can be added to any Hobie Mirage Kayak or Pro Angler, and it makes sailing fun and easy. 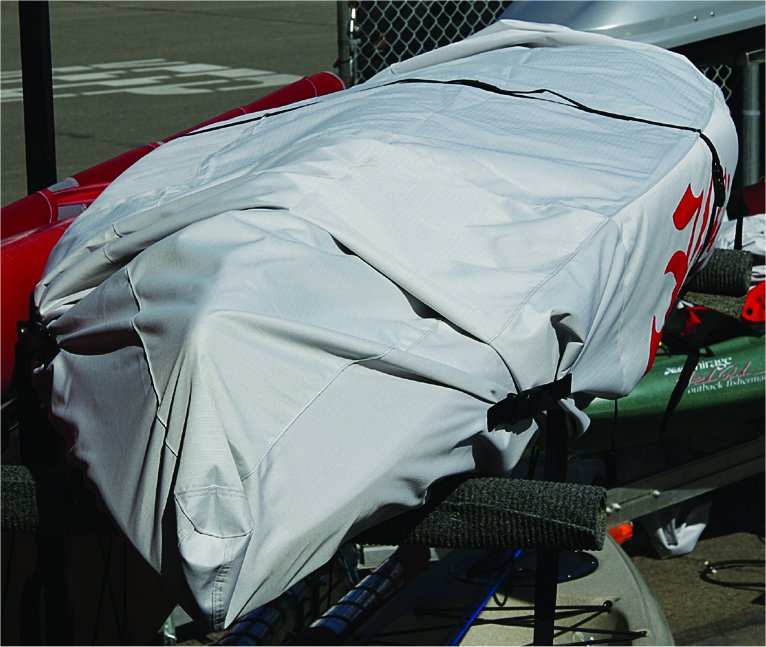 Protect your Hobie Kayak from the elements with a cover and ensure your pride and joying stays in top condition. Available in different sizes. 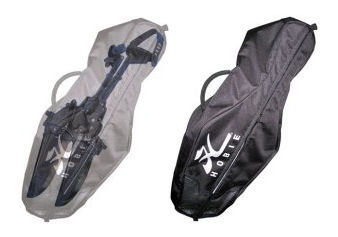 Protect your Hobie Mirage Drive and accessories with this heavy duty stow bag. Constructed from durable Cordura and mesh this bag fits the whole Mirage Drive System with either standard fins or ST Turbo fins. This leash will save you a lot of money and a ruined day. It prevents you droppig your Mirage Drive System if you plan to remove it while still in the water. A wise investment. The Hobie Trampoline is made from hard wearing mesh vinyl as used on the Hobie catamaran products and are available in grey and black. 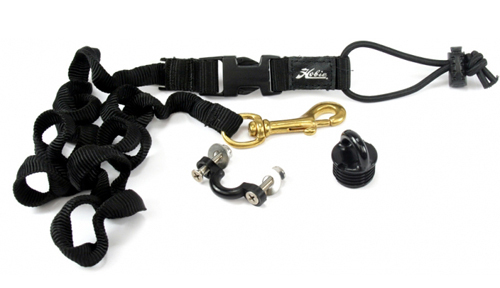 The Hobie Trampoline Kit features fast side release buckles to make folding akas quick and webbing straps to ensure a tight fit. Paddle storage, gear pockets and lanyard grommets included. Add additional stability to your Hobie kayak with the SideKick Ama Kit. Great to use when sailing, fishing, standing when sight-fishing and shooting photos. The SideKick Ama Kit is simple to install and weighs less than five pounds. The SideKick Ama Kit floats are a breeze to inflate. A few breaths into each float through the one-way valves. Valve caps unscrew for rapid deflation.